A man has been killed after armed thugs broke into his home in the middle of the night and battered him and his partner. Another woman and two children, believed to be under the age of six, were also in the property when the incident happened but were not hurt. Gardaí are appealing to anyone with information or to anyone who may have witnessed this incident to contact them. While police did not mention the weapons used in the brutal attack and only called it a "serious assault", TV3 is saying that the gang had used machetes in their attack. He died later in hospital. O'Sullivan said the two children were in the care of social workers. The gang left the scene before gardai arrived in what gardai believe was a BMW 3 series. A post-mortem examination is scheduled to take place later on Sunday. The murder scene is now sealed off and gardai are continuing their house-to-house inquiries. 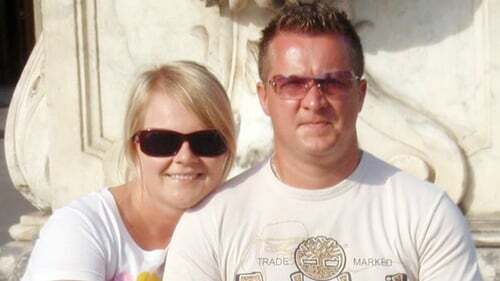 Fundraiser has been set up online for Mikolaj Wilk to help Cork murder victim's family. Wilk, also known as Nick, ran a garden maintenance business in the area and had lived in Ireland for a number of years.